Homeschooling requirements may differ slightly among places due to how stringent the educational policies may be in an area. However, it seems that there are some basic conditions that apply to everyone who selects home education as an option. There is no perfect way of educating at home so don't waste time in search of it. Teaching can appear in various forms and by using many different mediums. However, these are a few basic components to teaching at home. These are not necessarily mandated by the local educational agencies but are what I have observed to be necessary for a successful at-home experience. 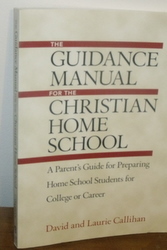 You can choose books, Internet sites, home educating peers, and related organizations to get answers to many questions about home education. If you fulfill these basic home schooling requirements and strive for excellence, you should succeed. Please, remember to ask for help if you need it and try to make learning enjoyable for your children and yourself.